Do not let clutter take over your house and your life. 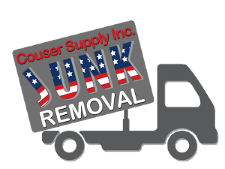 Bid farewell to the rubbish today with junk removal in Bethesda, MD, from Couser Hauling. 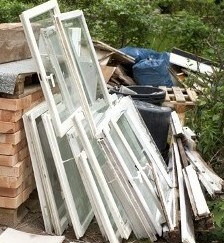 Benefit from friendly professional service and prompt attention, for we take the trash away that very same day. Enjoy the cleanliness and spaciousness of your home now that all that stuff is gone. Moving an unused piece of furniture or a non-working appliance to the basement or attic removes it from sight, but does nothing to reduce the jumble of possessions you no longer want. Talk to one of our customer service representatives to arrange for pick up and disposal. While you are on the phone, ask about our special offer to save $15 on junk removal. Do not allow unused items to fill your attic, basement, or garage. All of these areas offer lots of space that you can put to good use. Consider a home office in the attic, a bedroom for a family member in the basement, and storage space for tools—as well as the cars—in your garage. In order to make a welcome change, the clutter that has been accumulating in these rooms must be removed. Our friendly and courteous team makes this easy and convenient for you by readily removing the junk. In addition, we offer clean-out services to help you sort out the items in these rooms, as well as for foreclosed homes and the estates of family members who have passed away. Junk removal does more than clear away the trash. It also improves the quality of your life. No longer are broken or unused items taking up needed space. Now, you have plenty of room to redecorate. Ridding your house and your property of unsightly rubbish enhances its appeal and value. After using our trash removal service, the beauty of your home is clearly visible to you, your neighbors, and would-be buyers. Contact us today to free your house and yard from clutter with our junk removal service in Bethesda, MD, and the surrounding areas.